We believe that all children should be given the best chance in life. OnLineTraining was established in 2008 to provide flexible professional development for teaching professionals in the UK who support children and young people with special educational needs. In 2010, we began our collaboration with the Departments of Education in Australia, initially partnering with NSW to adapt our courses to suit the Australian education system. In the years that followed, our courses were implemented by the Departments of Education in all States and Territories in Australia, and many of the Catholic Dioceses and Independent Schools associations, too. Our courses are accredited by the teacher accreditation authorities, and contribute to the CPD hours requirements for progression through the Australian Professional Standards. They’re mentioned specifically in a report, commissioned by the Australian Government Department of Education and Training, on the impact of training carried out in support of their More Support for Students with Disabilities Initiative. Each year, a conference is held for all subscribing organisations in Australia to share and learn from each other’s experiences, discuss developments and agree the subject of the next new course. In 2017, courses for international schools were established, making them accessible to a wider market. To date, over 150,000 participants have taken part in our courses. “Our unique approach to courses combines stimulating visuals with interactivity and humour. Nick Maloney has been a director of OnLineTraining since 2008, and is responsible for our international IT infrastructure, course development and data compliance. In 2002, after 35 years as a professional theatre and television actor (check out the IMDb website! ), Nick began to develop an interest in website and database design. He designed websites and data systems for the Home Office drug and alcohol in the workplace policies initiative, and for Inclusion Partnerships in a number of regions, such as South Central (SCRIP), the South East (SERSEN), London, and the South-West. He developed the original NatSIP website, and the West Sussex Drug & Alcohol Action Team’s website and event booking systems. 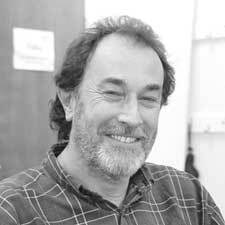 Nick created the framework for the original SEN online courses produced by Onlineinset in 2002, bringing humour and imagination to course designs and animations, and a comprehensive learning management system for tutors and administrators. With his team, he continues to explore new approaches in technologies and designs to produce engaging and stimulating training. “A great mix of course content includes immediate strategies to enhance inclusive practice. Jacqui Webber-Gant has been a director of OnLineTraining since 2008, and is responsible for training and supporting course tutors and developing partnerships. After her B.Ed. (Hons) from Reading University, she spent over 15 years in teaching. She was a SENCO and a teacher in charge of an ASD resource and, during this time, gained a University Certificate in Autistic Spectrum Disorders from Birmingham University. For the past 20 years, she has also had an active role in school governance. 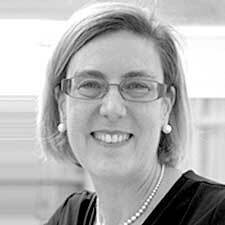 These teaching and governance experiences have given her a natural affinity with our tutors. Jacqui spent three years with the South Central Regional Inclusion Partnership, supporting the development and delivery of SEND blended learning courses, during which she achieved a Diploma in Distance Online Education from the Institute of Education. She was also involved in school and local authority website development, creating resources for teachers to support learners with additional needs. “Built-in evaluation demonstrates impact on both teacher expertise, and learner outcomes. Hugh Clench (B.Sc. (Hons), P.G.C.E., M.Ed. (Psych), C.Psychol., MPA*, AFBPsS) is a UK based educationalist and, since 2008, has been a director of OnLineTraining. 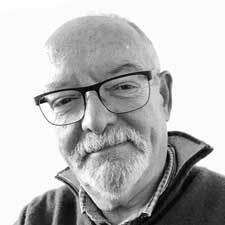 In 1978, after teaching for four years, he trained as an educational psychologist, and then worked in postgraduate teacher training for the next seven years. He began working as an educational psychologist in 1987, becoming a senior in 1995, then Head of SEND in Brighton and Hove in 1997. From 2000 to 2008, he was Regional Facilitator for Development in Children’s Services covering 13 UK local authorities. In this role he served on several national policy-making committees in the UK, and had a national lead on a number of initiatives, including the development of Quality Standards for SEND Support and Outreach Services. Hugh has held several voluntary positions, and is currently chair of Amaze, an award-winning charity providing support to parents of children with SEND.